The majority of homes today are generally made out of older enamel. Depending on the style, the tub can measure 60″ x 30” and be anywhere from 14” to 16” deep. Although the deep tubs are very relaxing to sit in, many are quite dangerous and can lead to falls. The issue with these tubs is trying to get in and out of them safely. Even with suction grab bars they are a problem with potential slipping. In truth, there are an estimated 8 million slip and fall injuries each year in the U.S.
Soaking in a walk-in tub can be an excellent therapeutic attribute for the elderly and the disabled. The mild heat, massage and rejuvenating properties of water can be a soothing experience for everyone. In actuality, the water lowers your body by roughly 90%. This in itself relieves pressure on the muscles and gives a sense of lightness which is extremely relaxing. In turn, you have increased circulation, more flexibility and fewer tense muscles. The Larmco Safe-Step Walk-In-Tub is like no other on the market. 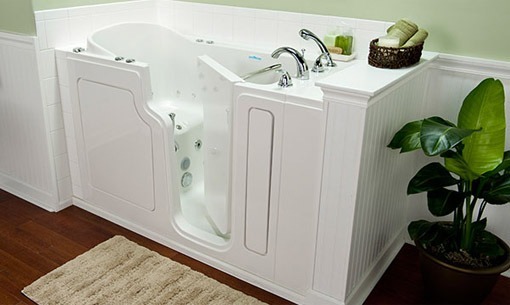 For starters, the tubs have a patented arthritis relief and are unmatched to safety and comfort. As well, the walk-in tubs have advanced safety technology. Larmco’s highly trained installers are extremely efficient and knowledgeable. There is no remodeling your bathroom or mess to pick up afterwards. They have professional installation and a full clean-up. As well, there is a lifetime warranty on the tub and door-seal. Larmco has a large variety of credentials and certificates. 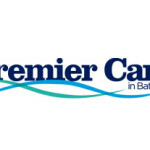 They have been an A+ member of Better Business Bureau (BBB) since 1989. Larmco is also Environmental Protection Agency (EPA) certified as a Lead-Safe company, meaning that the installers are accredited and trained in lead-safe work standards and practices. Furthermore, the company was on Angie’s list for the Super Service Award in 2012. Larmco is located in two different regions. You can find them in both the Columbus and Cleveland Ohio areas. Right now Larmco has a Spring Walk-in Tub Event. They are offering payments as low as $99 per month. To see if you qualify for up to a $1500 rebate per household you can call a qualified installer for a free estimate. On a scale of 0-5 stars with 5 being the highest I would rate Larmco’s overall customer service as a 5 star. I would also rate the company a 5 star for affordability, especially with the rebate offers. Their high quality Safe-Step Walk-In-Tub is exceptionally affordable especially for anyone with a qualifying medical condition. Plus, if you suffer from a qualifying medical condition, you can get a rebate of up to $1,500 per household. Before buying check out Walk in Tubs Review page. We have all the important information about the baths.